Probably everyone needs from time to time to make a simple screen shot on Android phone, but it is not something obvious you can find out by yourself. And nobody reads a manuals. 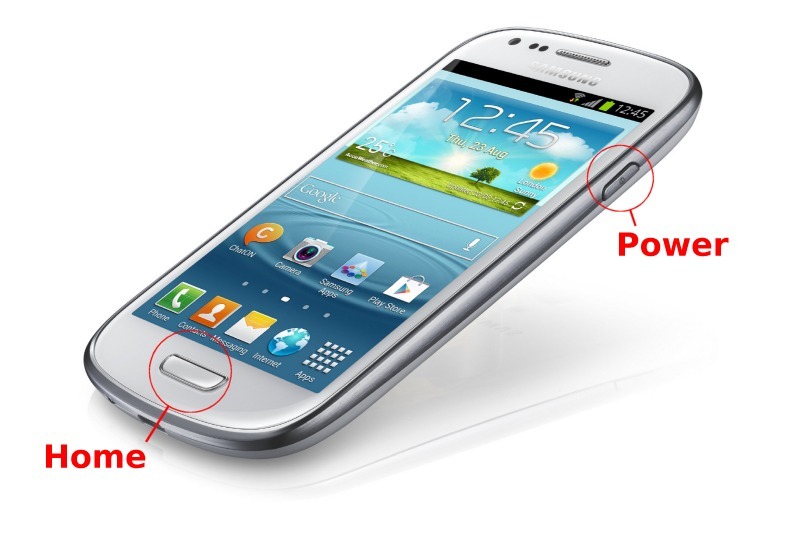 🙂 So, here is a simple solution that should work on Samsung Galaxy S6 and older Android phones (Samsung Galaxy S3, Samsung Galaxy S4, Samsung Galaxy S3 – any phone that has a Home button). At the same time press the Power and Home buttons and hold them for 1 second. You will hear a shutter sound and see the visual confirmation that picture has been taken. If you press a Home button just a little before Power button, it will close current screen, so you should first press Power and almost immediately press Home button. If this does not work, try to press Power and Volume Down in the same time, for 2 seconds. If this is not working, well, you have a problem. 🙂 You can install programs from Play Store, but you have to Root your phone, and this is beyond this article. Posted on June 18, 2015, in Mobile phones and tagged samsung S3 screenshot, screen shot on android, screenshot android phone, take screenshot. Bookmark the permalink. Leave a comment.